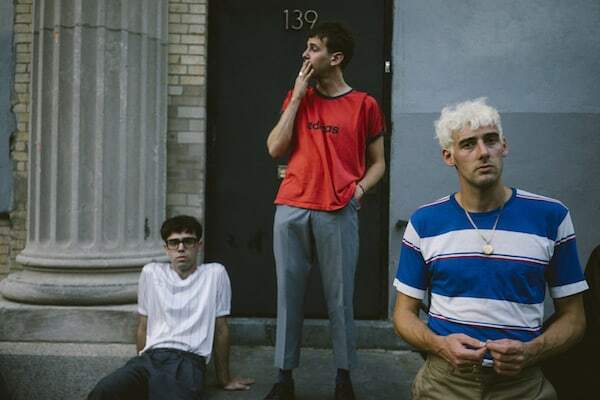 Today, Skaters debuted their new video for ‘In Your Head’. It’s the first single off of their upcoming album entitled, ‘Rock And Roll Bye Bye’ out 3/24 on Yonks Records. When discussing the track guitarist Josh Hubbard said, “The ethos brought to this new project is similar to that of the ‘DIY’ ethos… but its more inclusive, so we’ve coined it DIWOP2, which his short for Do It With Other People Also. We reached out on the internet to people and people got back. Conversations where had, relationships forged and collaborations were born…. This here video is the out come from one of those online conversations started on the internet. Hull transplant and very talented DP Josh Moore (shootjmoore) teamed up with us and took a walk down Whitefriargate, in the UK City of Hull.